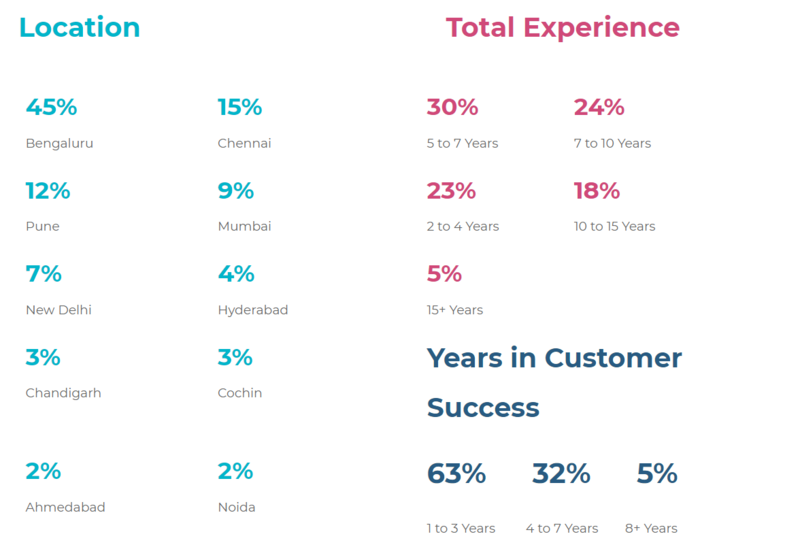 We wrote about the fast rise of Customer Success roles in India a while back. Personally, we at CutShort are big fans of the Customer Success function. We started focusing on this around 6 months back and have continuously improved our systems and processes since then. This focus has also led our team to join the fast growing Customer Success community in India. Recently Vipin Thomas, who started India’s biggest Customer Success community and has been recognized by MindTouch as one of the Top 100 Customer Success Strategists of 2018 conducted an interesting survey in the community. 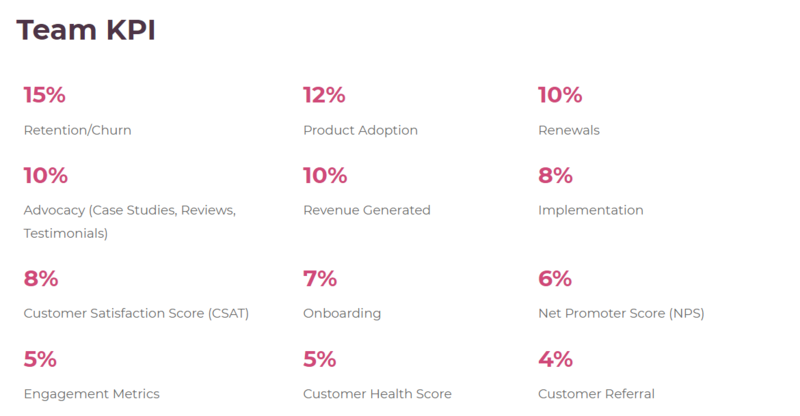 Thanks to Vipin, who is also pioneering Customer Success at FreshWorks, for compiling perhaps the first report focused on Customer Success professionals in India. The data source of this research project is an invite only Community of 140+ Customer Success professionals across India, making this the largest Customer Success community in India yet. These professionals cater to various levels of the function within industry, Information Technology & SaaS in India. This report is a compilation of inputs from 110 respondents from 74 unique companies across 10 cities in India. For further questions about the report, please reach out to Vipin on LinkedIn or email. Of all the Customer Success(CS) professionals on LinkedIn, approximately 2400 are in India – with Bengaluru having the highest, followed by Delhi & Mumbai. These professionals primarily hailed from Marketing or Computer Science educational backgrounds. As search trends on Google increase, so does the worldwide demand for Customer Success Professionals. The Customer Success Manager profile was ranked 4th in LinkedIn’s survey of emerging jobs in the United States and ranked 6th in India. While technology-focused jobs still top the leaderboard in India, ‘Customer Success Manager’ was the only non-tech role amongst the Top 10 emerging jobs. 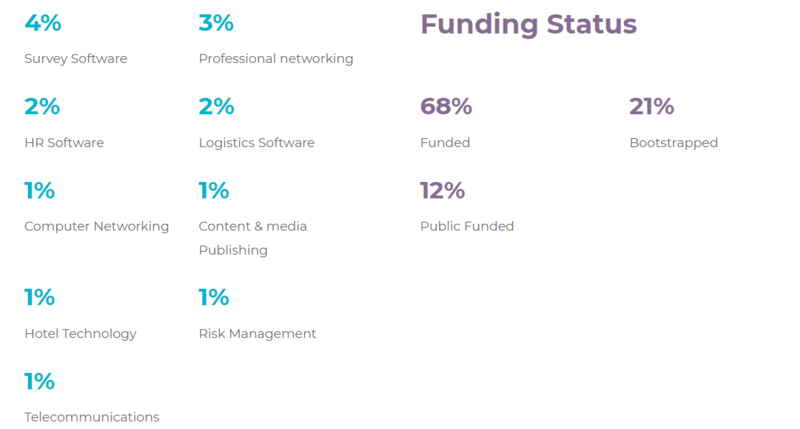 Niche industries like Logistics Software, Network Hardware & Software, Content & Media Publishing, etc. exhibit limited hiring of CS professionals. The main reasons are limited knowledge and investment in CS, or that they are ‘Late Adopters’. 45% of respondents’ talent base is from Bengaluru and 15% from Chennai. Chandigarh, Cochin, Ahmedabad & Noida show promise as upcoming SaaS hubs. CS function is still in its nascent stage in India. Most businesses consider investing in the function only if they have 10 employees or more. An aggregate 70% businesses with less than 500 employees invest heavily in CS. 95% of CS professionals have less than 7 years experience in core CS skills. There are likely to be large opportunities for CS leadership in the near future, from this pool. 77% of professionals are millennials and have less than 10 years of total experience. Freshers, or individuals with less than 2 years experience, do not seem to be very popular in the current scenario. 73% of respondents felt they have a well defined Customer Success strategy, while 27% felt they do not. “Just as Indian product companies discovered the importance of the “Product Manager” role in 2011, Indian SaaS companies seem to have realized the importance of “Customer Success” in 2018. This is evident in the demand curve – as there are already 3X more Customer Success job posting in 2018 over 2017. 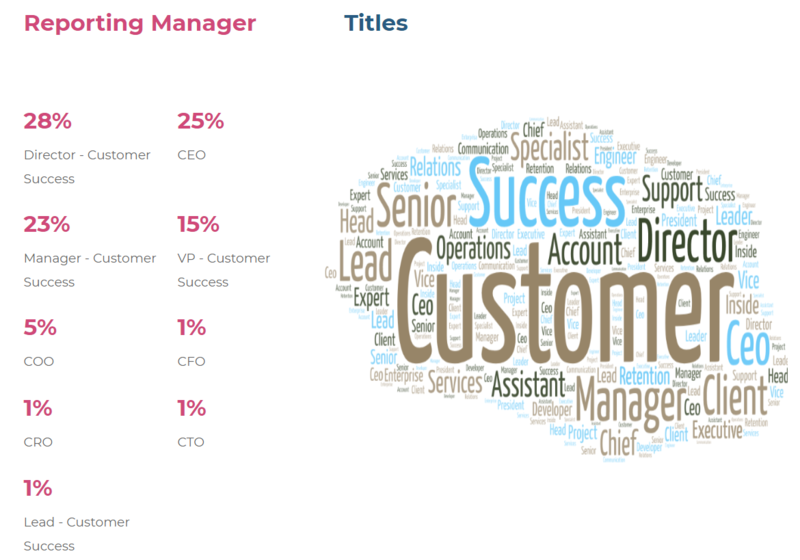 Where do Customer Success Managers (CSMs) spend the most time? CS seems to be a well paying function – 43% of CS professionals have an annual salary ranging from 10 to 20 Lakhs INR. Different businesses have different variable pay targets. However, 71% of these businesses compensate based on growth, retention or both. There seems to be a strong indication to balance both by targeting Net Retention as part of their success goals. While CS managers have a clear nomenclature for designations, the same for other levels vary drastically. Over 40 designations clearly show the need for standardization of CS titles. Key Performance Indicators(KPIs) across different businesses are clearly different. However, the most popular KPI was around Retention, followed by 25% around Renewals + Churn, and Adoption + Advocacy. Even with defined KPIs and dedicated support teams, CSMs still spend 65% of their time with support queries, customer onboarding, managing customer expectations, firefighting customer issues and collaborating internally to solve these issues. 66% i.e. 49 businesses that participated in this survey have not adopted any CS specific tools. Of those businesses that use a CS specific tool, Natero seems to be the most popular, in India. Undoubtedly, email, phone & video conferencing are the most popular engagement channels. However, in-person meetings are at just 12%. In-product engagement is at a mere 3%, in spite of this being where users live day-in and day-out. It would be great to see in-product engagement shift from nice-to-have to must-have, in the next few years. Predictive Analytics will help anticipate long-term changes, enabling us to adapt and adjust strategies to minimize churn and maximize opportunities. AI-powered CS tools will learn usage patterns and provide early downgrade and churn warnings. They will help keep stakeholders notified of changes and indicate expansion opportunities by anticipating increased needs. They will also perform front-line engagement and provide a personalized experience before seamlessly involving a CSM. Machine learning will automate repetitive tasks to an astonishing degree, allowing CSMs to focus on building better, stronger relationships. It’s encouraging to see the rise of Customer Success in India, which can be attributed to the rapid growth of SaaS over the last five years. CS is seen as a critical function to help onboard, influence, and retain customers. As the function expands, a long-term career in Customer Success looks promising with increased opportunities for CS Leadership roles emerging in the near future. While salaries continue to look lucrative, overall compensation will increasingly be tied to business outcomes. New business opportunities around CS-specific tools, training, certifications will emerge as the function continuous on its growth trajectory. Businesses should seriously give this some thought — Start early, build a solid strategy and define KPIs. Create Growth Hacks by demonstrating practices of continuous monitoring, iterations and adaptability.